RE/MAX Generations welcomes the opportunity to serve the real estate needs of our military service members. RE/MAX Generations is proud to offer special benefits and pricing to all service members - active duty, Guard, Reserves, and retirees. If you are relocating to the greater New Orleans area, we look forward to serving you. Even if you are moving away from the greater New Orleans area to a different part of the country, we would be happy to refer you to a local Military Relocation Professional through our extensive network. Contact us to learn more about our special offer for service members. Several of our associates are certified Military Relocation Professionals (MRP), which is an official certification obtained through the National Association of REALTORS®. The MRP certification focuses on training real estate professionals to help their military clients find the housing solutions that best suit their needs and take full advantage of military benefits that are available. Service members and veterans who hire a REALTOR® with the MRP certification can trust that the REALTOR® will understand the service member's specific real estate needs as well as available financial benefits and support. From BAH rates to VA mortgages, our Military Relocation Professionals are ready and willing to assist. 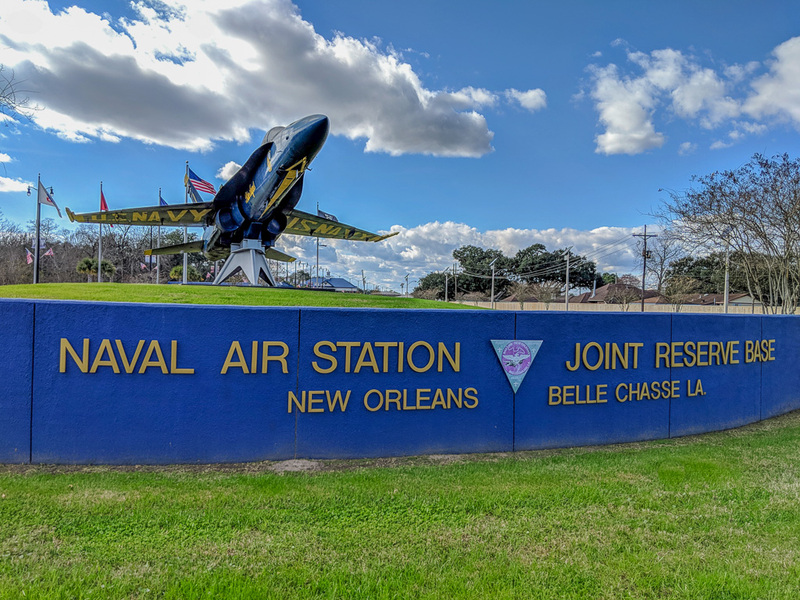 Our office is located approximately 5 minutes (3 miles) from the Naval Air Station Joint Reserve Base in Belle Chasse, and approximately 15 minutes (9 miles) from the Marine Corps Support Facility (Federal City) in Algiers, so we are perfectly positioned to assist military service members and their families PCS-ing to or from Belle Chasse and the New Orleans area. We have been serving the real estate needs of our market area since 1956, so we have exceptional knowledge of the local market to help our service members make the best decision for their families. Whether you are looking to purchase or lease, we have all of the information you need in order to weigh the pros and cons of each route. Additionally, we keep a close pulse on the local economy, so we are well aware of the factors that have a potential to impact property values, both positively and negatively. Considering the short timetable usually associated with a PCS, re-sale value and market appreciation are crucial factors impacting a military service member's decision to lease or purchase.